Your Best Solution Found. Your Package Quickly Delivered. You can count on us to provide all of the necessary packing materials. Even if you’re sending fragile items or technology like mobile phones and laptops. We’ve got the sturdy boxes and wrappings. When you’re trying to find a courier in Perth CBD it can be difficult to choose the best deal. We make it easy. With a range of trusted local and international courier companies who we’ll match to your order. But what if you need your package or document to get on its way now? No problem. We can provide same day courier service in Perth CBD and expedited deliveries to locations across the planet. Don’t have the time to wrap your parcel? Simple. Just drop your item or items off in your local Business Centre. We’ll make sure they’re securely packed and ready to send. You won’t be limited in the type of items you can send. We’re regularly used by local people for single deliveries. But there are also those companies who use to provide all of their logistic needs. Talk to us about yours today. 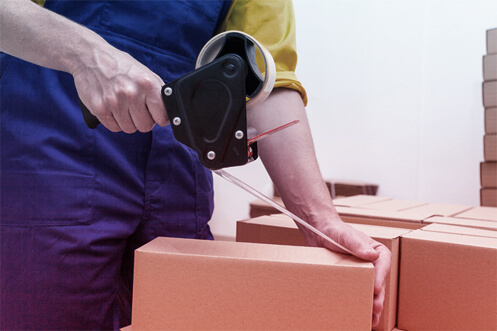 Choose overnight courier services for fast dispatch at any time of day. We offer immediate action on deliveries to global destinations. Why Let Us Choose Your Courier in Perth CBD? Picking the right courier from all of the options in Perth CBD can be tricky. You need to balance the demands of your schedule and destination with the strictures of your budget. What will your parcel consist of? Merchandise? Documents? Retail freight? Laptops or mobile phones? At Printing & More Perth CBD you’ll always find the best solution for any item. Don’t leave your package waiting around. Choose overnight or next-day delivery to get your parcel moving. Track your parcel online using our smart software. You’ll always know where your shipment is. Get your marketing materials printed out before you send them. Get us to fill envelopes and add flyers. Print off documents ready to ship around the world. This is the only place you’ll need to go for effective business communication. We have dedicated a material to the usage of camels as couriers in the past.